A meeting of creditors is conducted by the Chapter 13 trustee, usually between 21-50 days after the petition filing. In the more remote areas, this meeting can be held up to 60 days after the filing. If it is a joint,husband and wife, filing, both must attend. Under prior law, it was common for only one spouse to appear, and to act as the agent for the other spouse, but this practice has been discontinued under BAPCPA. The meetings are usually conducted in the local federal building or other office building. Entrance to the building is subject to security measures similar to airport security, including use of a magnetometer, screening for metal objects, weapons, and requirement of current picture identification. 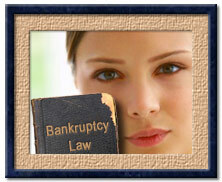 The debtor is placed under oath, and the proceedings are recorded, typically by tape recorder. The trustee and creditors are allowed to ask questions about the debtor's assets and liabilities, his financial affairs, and his proposed plan. The bankruptcy judge is not in attendance, because the judge's role is that of an independent arbiter who only rules on disputes brought before him by one of the parties by properly filed motion or complaint. A creditor or Chapter 13 trustee who opposes the debtor's Chapter 13 plan needs to file a written objection. In many districts, the deadline for filing such objections is the date set for the meeting of creditors. If the creditor or trustee fails to file a timely objection, then he can be barred from thereafter opposing the plan, absent good cause shown. Many objections are filed because the trustee or the creditorlacks sufficient documentation to properly analyze the case. Once this information is provided, the objection is often resolved without further ado. In a Chapter 13 case, a debtor files his schedule of property claimed as exempt (Schedule C). This is true even though the debtor remains in possession of all of his property, exempt and non-exempt. By filing this list of property claimed as exempt, it becomes possible to analyze whether the debtor has met the so-called "best interests of creditors" test. To have his Chapter 13 plan confirmed, the debtor needs to prove that his creditors are going to receive in the Chapter 13 at least as much as they would receive in a hypothetical Chapter 7 case. This can only be done by seeing what assets are exempt, and which are non-exempt and subject to liquidation (sale) by the Chapter 7 trustee. There is a deadline for filing objections to the debtor's claim of exemptions. This deadline is typically 30 days after the conclusion of the meeting of creditors. If no objections to the exemptions are timely filed, then the exemptions are deemed allowed. This is under the authority of the U.S. Supreme Court in a case called In re Taylor v. Freeland & Kronz. Therefore, it is very important for creditors and the trustee to examine Schedule C carefully. A creditor who wishes to receive money in a Chapter 13 case must file a Proof of Claim with the court. Usually, a blank claim form is sent out with the original Chapter 13 notice. There is a deadline to file a claim, which is usually 90 days after the date set for the meeting of creditors. Governmental units, on the other hand, have 180 days from the petition date to file their proofs of claim. If there are written documents to support the claim, like a promissory note, lease, judgment, or contract, for instance, they are required to be appended to the proof of claim. With the more complex claims, the creditor often provides a short summary or accounting to show how the amount of the claim was arrived at. A timely filed and completed proof of claim is prima facie valid. The debtor can object to a proof of claim, if he disputes the validity or amount of the claim. An objection to claim commences what is known as a "contested matter". The parties are entitled to engage in pre-trial discovery, and elements of more traditional adversary litigation apply. 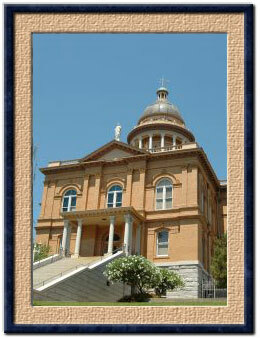 Unless resolved prior between the parties, the dispute will be heard and decided by the bankruptcy judge.